It is important to meet the people who are judging nominations for the third annual CIO50 list. All nominations will be reviewed by our judging panel, who will rate each section of the questionnaire in order to come up with our final list. These responses will also form the basis of the profiles of our 50 CIOs, which will be revealed in 2019. 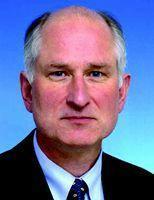 Marcus Blosch is research vice president in Gartner's Enterprise Architecture team. Based in New Zealand, he advises clients how to use business architecture to transform and create adaptive organisations, as well as how to create and use business ecosystems and design thinking to innovate. His recent research includes best practices for creating high-impact business capability models and the role of business ecosystems in the age of digital business. He also created some of the 2018 series of Gartner Hype Cycle reports, which help organisations decide which new innovations to adopt and when. He is a frequent speaker at Gartner’s global conferences. Prior to joining Gartner in 2000, Blosch worked at DHL's global headquarters, driving global change programmes as part of DHL's strategy to transform its business model create a global logistics business focused on providing value-added services. He holds a PhD from the University of Portsmouth Business School. Michael Sheehan is executive director at CIOs Without Borders, a global non-profit organisation that uses technology to provide education, healthcare and infrastructure services to underserved areas around the world. He is the first appointee outside North America to take on the top role. Sheehan was previously director - Oceania for the organisation. Owen McCall is an experienced management consultant and former CIO who is passionate about harnessing the power of technology to create value for businesses, communities, families and individuals. Previously, Owen spent 18 years with Deloitte where he worked with clients from around the world to implement technologies that supported their business strategy. He also led Deloitte's outsourcing practice for Australia and New Zealand. Owen then became the CIO of The Warehouse, where he was responsible for delivering value from IT.These roles have given Owen a broad perspective of IT, its power and challenges. He now operates as an independent consultant and advisor, guiding CIOs and senior executives on how to use technology in a way that adds real value to their organisation. 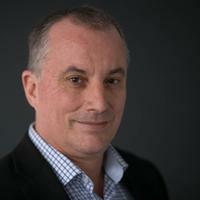 He is a regular blogger and contributor to CIO New Zealand where he is a member of the editorial advisory board, and is a sought-after speaker across the technology industry. He is the author of the book High Performance I.T. and is working on his second book on ICT leadership. 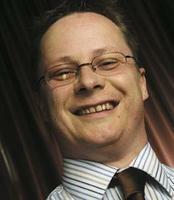 Matti Seikkula is the CIO and principal consultant for New Zealand’s leading spatial consultancy firm, e-Spatial. He has 27 years’ experience in Information Technology, most recently in spatial (19 years). His calling is to raise the awareness of spatial at an enterprise level. He has an insatiable desire to keep up with technology trends and their business application. This allows him to look at the big picture, to start recognising patterns and to predict what might happen in the future. Most recently, he was appointed to The Co-operative Research Centre for Spatial Information - Program 3 board. The board is researching new, intelligent ways to improve the organisation, access and use of spatial data in Australia and NZ. Steven Mayo-Smith is an independent business consultant, working with a range of business on their digital transformation and growth strategies. His most recent executive post was Programme Lead for the Digital and Health High Impact Programmes for the New Zealand Trade and Enterprise. He has been a judge at the NZ Hi-Tech Awards for the past four years. 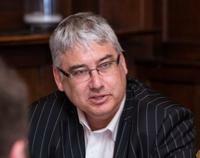 Steven has held a succession of CIO roles in Livestock Improvement Corporation, Yellow, Medtech Global, Radius Health Group and Auckland District Health Board. In the early part of his career, he held a range of technology roles in telecommunications and health. Mark Baker is principal of MIH Consulting, which specialises in supporting businesses achieve their strategic and operational objectives. He has held a succession of CIO and chief operating officer roles in New Zealand enterprises including Foodstuffs Auckland, Fletcher Distribution and Kiwi Co-operative Dairy Company. He has been a member ofthe New Zealand Institute of Directors since 2009 and is actively engaged with boards across sectors. John Holley is a senior ICT professional with a track record of successfully leading and delivering innovative/transformational business change projects. While holding a series of executive roles in business technology and ICT, he is also a staff officer at the New Zealand Defence Force. He was a planning officer for the UN Mission in South Sudan for seven months in 2013/14, and was the planning officer for a NZ Army Battalion in East Timor in 2001/2. 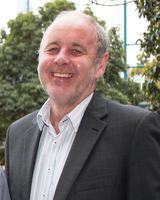 He is a board member for ChildFund NZ and Accelerating Aotearoa. He has also been a board chair for for two schools. Murray Wills, founder of Maxsys, provides ‘virtual CIO’ services to organisations in all sectors as well as IT strategic consulting and training.Maxsys is also a member of the All-of-Government Consultancy Services Panel. He has held a range of executive roles in sales, ICT education and finance technology. Today, Wills is listed on the Global Experts database of Callaghan Innovation, providing advice for people on innovation projects. For the Institute of IT Professionals he is chair of the IT Governance Task Force. As well as being a Chartered IT Professional, he is a Certified Management Consultant and Chartered Member of the Institute of Directors. Wills is a member of CIO New Zealand’s editorial advisory board. Andries van der Westhuizen is co-director of Candor Consulting, which specialises in “slicing through technical obscurity to help organisations make well informed ICT decisions”. He started the consultancy following a range of CIO roles at Stevenson Group (where he was also concurrent transformation manager)and Vector, where he rose through the ranks from project manager - information systems. He is a member of CIO New Zealand’s editorial advisory board and chair of the Orakei Community Association. Ron Hooton is the CEO of Vision Australia. 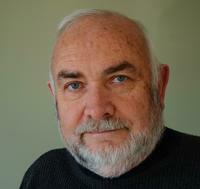 Throughout his career Ron Hooton has worked extensively in the primary health care sector and not-for-profit sector. Ron joined Vision Australia in January 2013 after guiding ProCare Health Limited (NZ), New Zealand’s largest primary healthcare organisation, to a leading position in the primary health care sector. He has specialised in operational and technical information technology positions over his career and has worked for organisations such as Databank Systems Limited, National Provident Fund, Telecom, Western Bay Health, Countrywide Bank and the New Zealand Defence Force. Ron who has family members who have experienced vision loss is a specialist on the disability sector in Australia, funding in the disability sector, employment and the NDIS. Ron is a judge for the ICT-enabled community programme category. 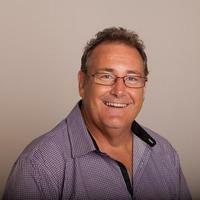 Robin Johansen is an independent ICT consultant and strategist based in Nelson. Before this, he was CIO of Beca group for 13 years, coming from the Ministry of Defence, where he was Deputy Secretary. He was a founder and director of Beca Applied Technologies, which developed software for clients across the globe, and chair of the advisory group for Better By Procurement of NZ Trade and Enterprise. He was a member of the IT Governance Taskforce set up by IITP as a contribution to improved IT Governance in New Zealand. Robin is a judge for the ICT-enabled community programme category. 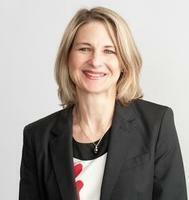 Kirsten Patterson (known as KP) is formerly the country head of Chartered Accountants Australia and New Zealand. She is a qualified lawyer, Chartered Fellow of the Human Resources Institute of New Zealand, and has extensive governance and leadership experience. She is also a strong advocate on diversity issues. Kirsten Patterson is a a judge for the ICT-enabled community programme category. 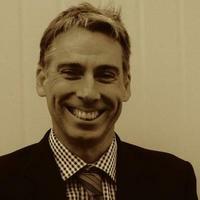 David Kennedy is the Chief Information Officer of Transaction Services Group, a global payment solutions provider with headquarters in Auckland. He was voted #4 in the NZ CIO 100 index and also nominated for CIO of the year in 2017. The TSG role covers being the Group CIO for 6 companies in the UK, Australia, US and NZ. Kennedy is a member of the editorial advisory board of CIO New Zealand. He is a director for Computer Culture (a Christchurch-based company), Chairman of the advisory board for the Future CIO Programme at the University of Auckland and advisory council member for BeyondTrust, an American security product company. He is also Chairman of the IT Leaders forum which specialises in providing opinions on the tough questions in today’s economy. David is a judge for the ICT-enabled community programme category. Aubrey Christmas is the managing director of Virtus Circle, an independent management and technology consultancy. His previous roles include CIO at Employers & Manufacturers Association (Northern), Principal head of Technology Advisory and Improvement Services at Ernst & Young NZ, Director at Accenture in the US, and AVP at Citibank NA in Singapore. Aubrey is a judge for the ICT-enabled community programme category. Claudia Vidal is an independent consultant and director with experience in digital technologies in education, manufacturing, and retail industries among others. She has led teams to deliver innovative solutions, most recently directing a digital transformational programme at Competenz, and business solutions at Vector. She is a senior technology leader with specific strengths in business and digital strategies, and program execution. She is a member of the IITP accreditation board and the CIO advisory board of the University of Auckland’s Future CIO Programme. She is a member of CIO New Zealand’s editorial advisory board. Claudia Vidal is a a judge for the ICT-enabled community programme category. Victor Vae’au is the Chief Information Officer (CIO) & Chief Information Security Officer (CISO) at the Ministry of Business, Innovation and Employment. 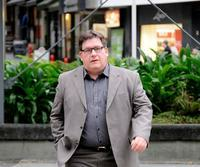 He is also an advisory board member and mentor to the future CIO programme at the University of Auckland. Prior to this, Vae’au was CIO at the New Zealand Defence Force for over five years,after leading the Operations division. Victor has experience in Logistics,Tourism, Finance, Retail, and in Technology where he has held technical and senior management roles operating infrastructure and applications development before joining Defence. Victor enjoys transformational strategies and creating business value through operationalising these. He is also passionate about developing leaders in the technology sector. Vae’au is a member of CIO New Zealand’s editorial advisory board. Victor is a judge for the ICT-enabled community programme category. Nicola Dorling is the Digital Director for University of New South Wales (UNSW) , driving alignment of the digital across all aspects of the university to drive improvements in Student, Academic and Researcher experiences. Nicola has a strong finance and technology background and has held a number of roles from Head of Strategy ,CFO, Management Consulting and most recently Technology Director for Sydney Trains. Nicola is passionate about driving strategic change and transformation by leveraging improvements in technology, from strategy development and execution, where Nicola has lead the development of very successful ICT strategy delivery for eHealth NSW, through to large scale system integration where Nicola was the Technology Director at Sydney Trains implementing the Enterprise Asset Management SAP system. Nicola is currently Chair of the Board of the CIO council and is passionate about enabling strategic change with leading edge technology application and using data to inform better customer experiences. Nicola holds memberships as a fellow of the Association of Chartered Accountants, holds an MBA in International Finance is a member of the Institute of Company Directors. Peter has more than 30 years international experience bridging information technology, business strategy, change management, operations and executive leadership. He has held senior executive roles across both public and private sector organisations; from start-ups, SMEs to ASX listed corporations and multi-nationals. Peter is recognised for possessing a rare talent for turning around failing operations, successfully integrating mergers and acquisitions and digitally transforming organisations to achieve international expansion and competitive advantage. His experience is complemented by a Bachelor of Applied Science (Computing) and a professional background in management consulting gained with Deloitte.